RELEGATION candidates Chapungu go into their match against title-chasing Ngezi Platinum Stars unsure of what to expect at Baobab tomorrow following the recent technical changes that saw coach Tonderai Ndiraya falling by the wayside. 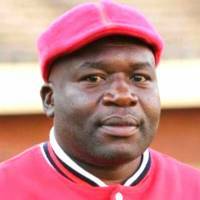 Ngezi will start life without Ndiraya following his shocking departure from the Mhondoro-based miners and the interim coach Clifton Kadurira is tasked to take charge of their last five games. 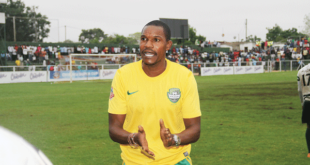 Chapungu gaffer Rodwell Dhlakama said the tactical changes which will come with the new coach will leave him with his work cut out in blind anticipation of what to expect from the opponent. The second-placed Mhondoro miners are the only side still with a realistic chance of challenging leaders FC Platinum for the league’s ultimate prize. They are five points behind the pacesetters with as many games to play and will be consoled by the fact that they still have to play FC Platinum leaving them with a realistic chance of piping the defending champions. On their part Chapungu are still not yet safe from the dreaded chop with just a point above the relegation zone and a defeat might see them finish the weekend in the drop zone. “When a team changes a coach you expect three things, you expect them to improve, to maintain the way they have been playing or a dip in form, so we are not sure what to expect. “We do not have the knowledge of how they will play so we just go into the game prepared for anything,” he said.